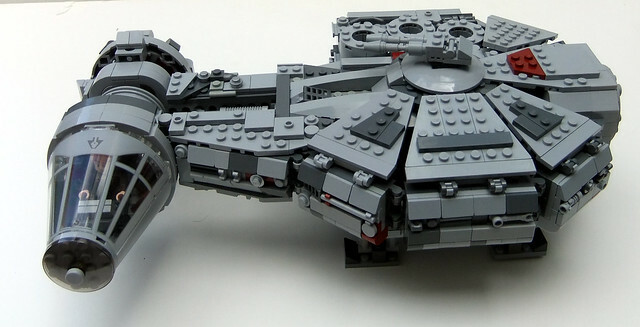 Kessel Run in 12½ Parsecs | Spaceship! Spaceship! Spaceship! 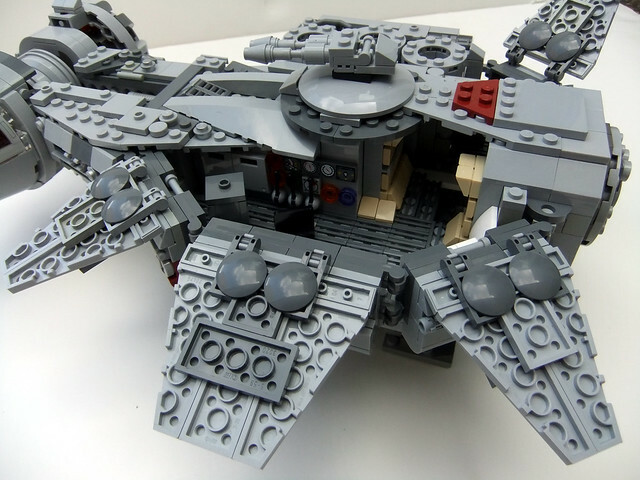 It’s universally accepted that the millennium falcon is the coolest spaceship in the universe. Probably that makes this model of Dash Rendar’s Outrider by The Solitary Dark the second coolest spaceship in the universe. For those who don’t know, Dash Rendar was a character who appeared in the Star Wars Expanded Universe and was basically a substitute Han Solo and had a substitute spaceship the Outrider that was kind of like the Falcon but different. I actually really like the design as I think it looks plausibly from the same stable as the Falcon but different enough to be distinct. This LEGO model is neat because it’s built in very much the same style as an official LEGO set, with the main hull opening in petals to reveal a tidy little interior and with cool play features like a little ramp and landing legs. It’ll look great alongside the current release 75105 Millennium Falcon. Only not quite as cool. This entry was tagged MOC, star wars. Bookmark the permalink. Pingback: Midi-chlorians | Spaceship! Spaceship! Spaceship!